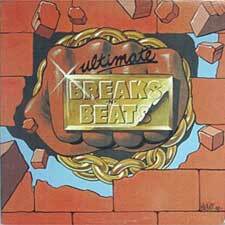 I thought that Ultimate break beats was just a term. I don’t use much of such terms, but when I read it in articles or heard it in podcasts, I thought it was just a name for the records that DJ’s and producers used to get their samples from. 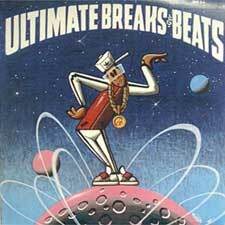 But yesterday I got an mp3 CD from Niels with “Ultimate break beats”, and because they were sorted by number, I looked it up with Google. To my surprise I found out that Ultimate break beats is (also) the name of a series of LP’s! You can find the information here. 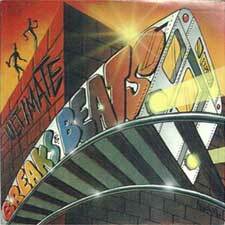 The LP’s have nice graffiti style covers, and apart from the Ultimate Break Beat series (with 27 (!!!!) volumes) there are about 10 (!!!) other series, with just equally good records. I have not checked all the songs on the LP’s, but I think I have about one quart of these records. They are not all that rare. And they are not all that good either, although many are. But I am amazed that I have never seen these LP’s. Or maybe I have never noticed them? Hard to believe. I am not good at recognising samples. I mean, I can hear when a sample is used, but I am rarely able to mention the title of the original song and/or the artist. There are lists on the Net of all the samples ever used in every hiphop track, but for some reasons this doesn’t really interest me. I am interested in the art of sampling, but too often a great riff is used as the basis for a rather lousy new song. That is okay with me, but I don’t need to hear it. Here is LL Cool J with that Johnny B Goode sample. Jean Vincent? So now Gene was a Frenchman? However I do agree with the fact that a lot of rockabilly samples are very good to use. Perhaps here’s an opportunity? Sorry Arie, i am not very good in names and details. Thanks for the comment. But what do you mean with “you guys”? I am just a music lover and i don’t pretend to be a true hip hop head or whatever. What people also don’t realise is that this set of LP’s shaped hip hop sampling. 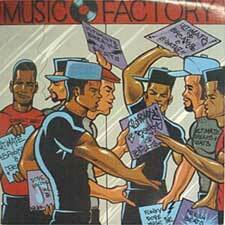 Each time one of the LP’s came out, songs would come out sampling the beats on those records. Also, the break in ‘Amen Brothers’ by the Winstons help spawn the Jungle genre and is still used in a lot of drum and bass tracks today.